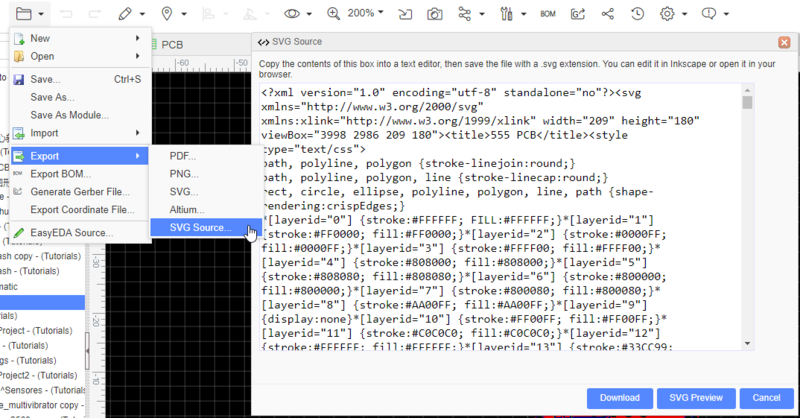 then copy the contents of this box into a text editor and save the file with a .svg extension. You can edit it in Inkscape or open it in your browser. This solution doesn’t need an Internet connection so if you open EasyEDA off-line, you can use it.